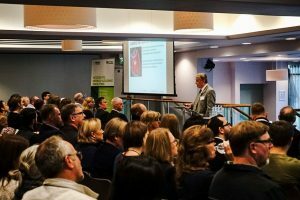 The Institute for Food, Nutrition and Health (IFNH) had its internal launch on 23rd October and is a valuable addition to a family of interdisciplinary institutes that draw on research across the University of Reading and facilitate new cross-disciplinary research to enhance well-being, society and the economy. Colleagues from across the University gathered to hear about the Institute’s remit and its plans to drive innovation in food production, processing and nutrition in order to deliver better diets and health. Please register to become part of our growing University community and receive regular updates and communications, including information on potential funding opportunities. If you’d like more information, please contact Kate Green, Partnerships Manager (ext. 8489; k.m.green@reading.ac.uk).